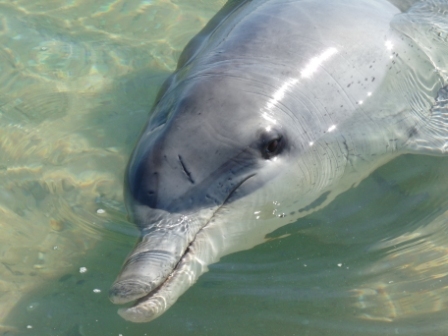 Western Australia is a great place to spot Dolphins. Try Monkey Mia, Mandurah, Rockingham and Bunbury for starters. And how lucky I’ve been to continue exploring Western Australia. I still wake up everyday counting my blessings to be living in such a beautiful and remote part of the world, where the sun shines for most of the year, where we have enough rain to make winters turn the countryside an emerald green and where the population still hovers around just over 2 million. As a wrap up to a fabulous year, I thought I’d look back on 2012 in picture collages. 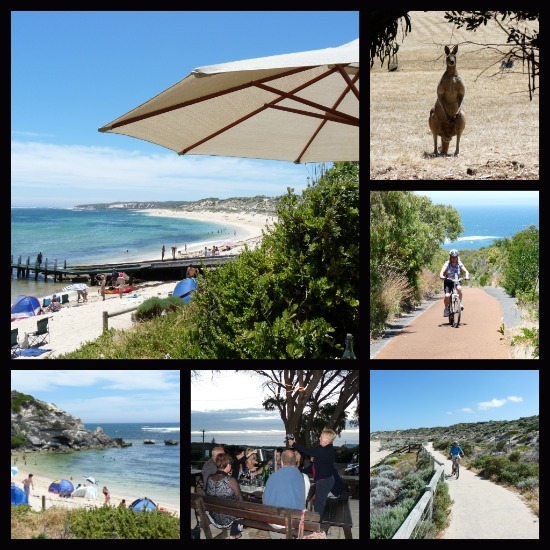 I hope they inspire many of you to visit Western Australia, and perhaps some of you may consider coming here to live, anyway, enjoy them and be transported – in a good way! If you want to know more about a place, click on the blue or lilac links which will take you to related posts and articles. One of the most exciting things was a 12 day trip to the Kimberley with Adventure Wild who kindly sponsored me. For one of the last great gravel road trips in Australia, The Gibb River Road in the north west is one to do. Enormous cattle stations, ancient reefs with huge gorges and gushing waterfalls, masses of Boab trees and red red earth are just some of the sights that await. The Kimberley is true blue Aussie outback and something you have to experience on a visit to WA. 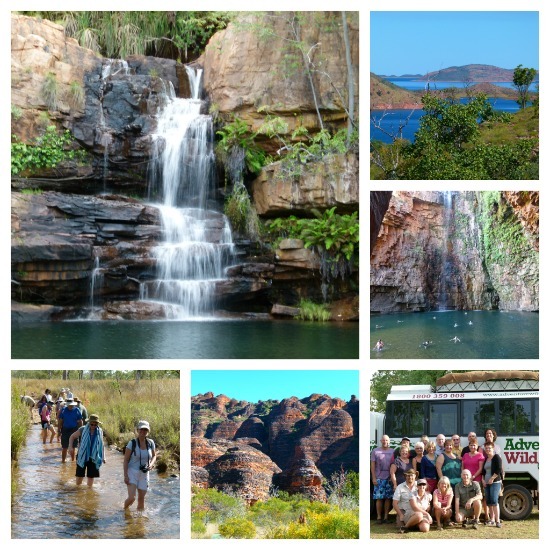 Above, in May we were lucky enough to do a 12 day trip to The Kimberley in North West Australia with Adventure Wild. Living the life in Western Australia is all about the outdoors. It’s not a land of huge shopping malls and man made edifices. Come for the scenery and the wildlife and the feeling that you might just be the only other person alive in the world! Although this is getting more difficult, there are places and beaches where you may very well be the only person. 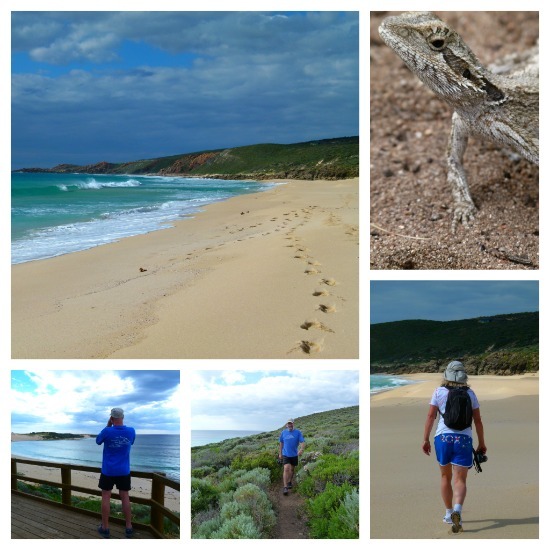 My 2012 has been very much about getting out and being active – in between blogging, of course! A Kingfisher in the Bungle Bungles in the Kimberley. Sea gazing near Yallingup, a boat trip on the Chamberlain Gorge, kayaking near Mandurah, beautiful Meelup and making Wild Hibiscus jam at Home Valley Station in the North West outback. Around the South West there are so many varied places to visit either on a weekend or just for one day. Pemberton is a place we enjoy most during winter and spring because it’s a place to get cosy by a log fire with a bottle of good red wine and some local eats and treats, after long walks or bike rides around the dam or the forests. 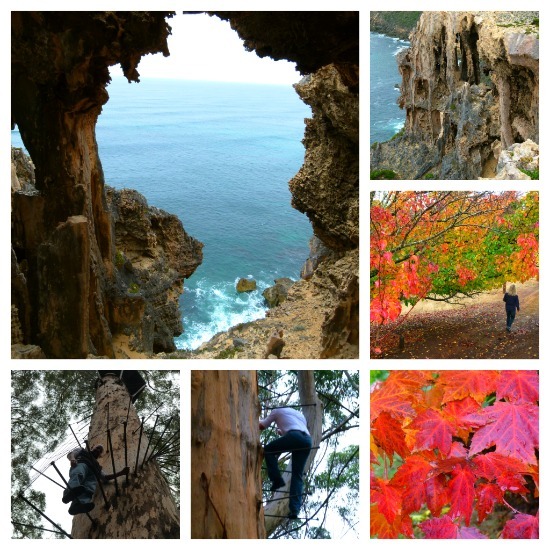 Featured here near Pemberton are the incredible rock formations around Windy Harbour and Salmon Beach in the D’Entrecasteaux National Park where we spent one wet and windy morning – and The Gloucester Tree, which we climbed, both are near Pemberton. The gorgeous autumnal scenes were snapped during a day trip we took in Autumn to the Tree Park near Balingup. The Night it snowed in Perth. below. What a night to remember. 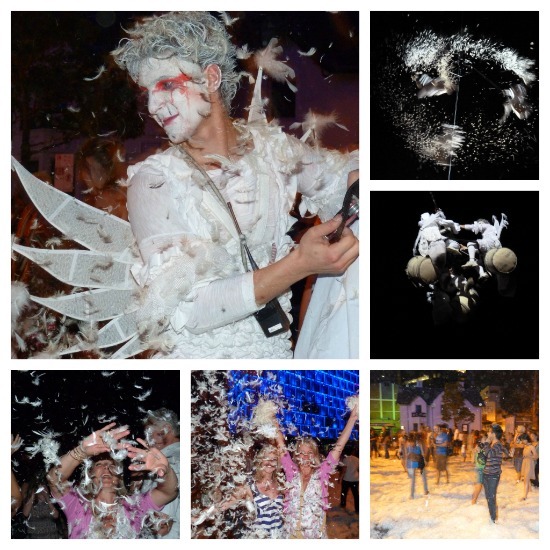 The opening event of the Perth Art’s festival 2012 was amazing. Tons of feathers were released from the sky, angels danced in the heavens to ethereal music, and mortals frolicked on earth in down. The Perth Festival begins again in February, and I can’t wait to see what’s on offer next year. 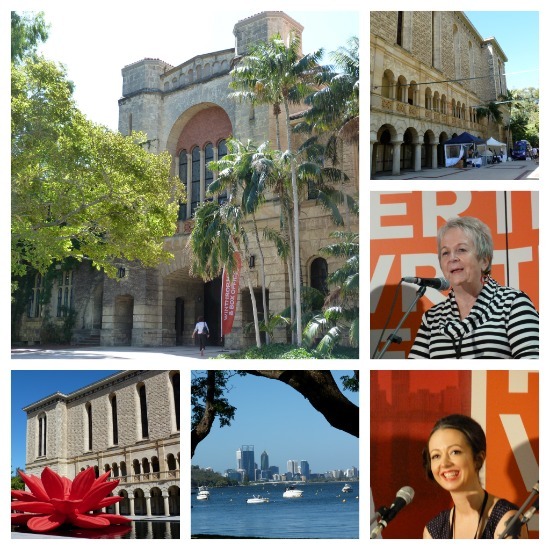 Each year, at the beginning of March, I can be found wallowing in literature at the beautiful grounds of University of Western Australia overlooking the Swan River and listening to the literati speak and debate at the Perth Writers’ Festival. Pictured here are two of my favourite Australian authors: Liz Byrski, top and Marieke Hardy below. Getting out in the open has been a pre-requisite this year. Well, you have to keep the joints mobile don’t you? We’ve met some handsome little critters along the way! Lizards and skinks often cross the path right in front of you. Lucky they don’t breathe fire, although some of them are large enough to resemble miniature dragons. We walked all 136 kilometres of the Cape To Cape walk in 2011 and this year we’ve redone sections of it. The picturesque walk, above and below, is near Yallingup. Bunbury, below, is WA’s second largest city and although it’s not a large city (in terms of Sydney, London, New York perhaps) it certainly has everything you could need on a day to day basis. 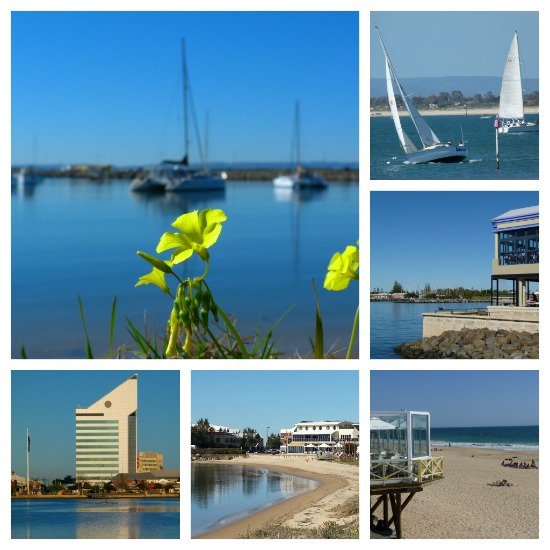 Many people whizz by Bunbury on their way to the touristy spots further south, but it’s worth discovering for its beaches, the waterfront cafes, its three waters, and the Dolphin Discovery Centre if nothing else. The South West of Australia is home to some magnificent, and often completely deserted beaches. I’ve enjoyed many early morning walks on the beach when the air is crisp and new, sometimes watching surfers bobbing like seals in the waves, or walking by the fishermen casting lines out to sea from the rocks hoping for a good catch of the day. At Hamelin Bay there are Stingrays in the shallows that come in close to shore because the fishermen feed them their scraps. It’s amazing that you can walk into the sea and almost touch the Stingrays – but be careful, they have killer barbs. From left and clockwise: Lights Beach, Elephant Rocks, Smiths Beach, Hamelin Bay (where you may see Stingrays in the shallows), Hamelin Bay, Little Beach. 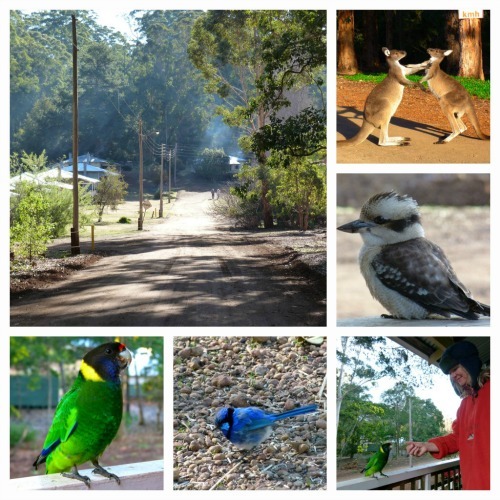 The deep south west is renowned for it’s forests of kari, mari and jarrah and deep in the midst of a forest between Pemberton and Nannup you’ll find a quaint holiday resort called Donnelly River which was once a working mill with mill workers’ cottages which have been updated and now serve as holiday rentals. To mingle with emus, kangaroos and parrots in this bush setting is so completely Australian that it’s hard to beat – especially if you want a get away from it all destination. In winter we cosied up by a log fire at night and walked amongst nature during the day whilst on a weekend at Donelly River. We went camping in Albany in January and loved it so much that we returned at Easter. The climate is cooler, the town is old, and the beaches are wonderful. It’s the diversity of Albany which is captivating and walking in the nearby Pongorup Ranges is another draw card for us. 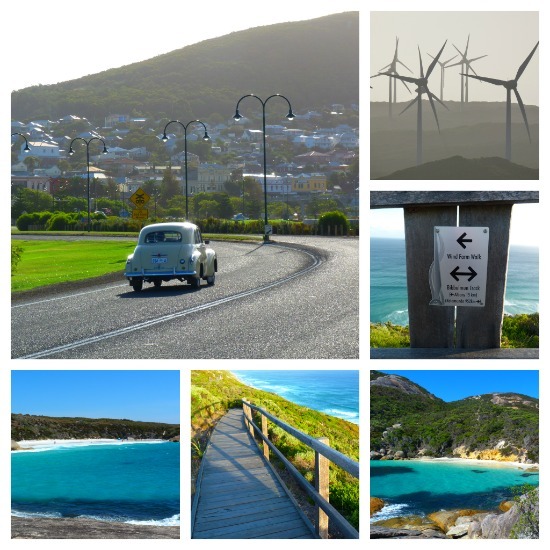 Albany in the south of the South West has beaches, walks, cycle trails and magnificent cliffs. Not to mention a whole lot of history. Australia Day 2012 and we lived it up. What a luxury day! We spent Australia day eating Marron at Lamont’s Restaurant and then swam, on a very hot day, at the very blue Smiths Beach. When in Australia …! Don’t you just love it! Most of all during 2012 we’ve loved being out in the open and being active, and that’s what Western Australia has to offer. Forget ancient, don’t think quaint, if you come to WA you come for the scenery and the adventures. 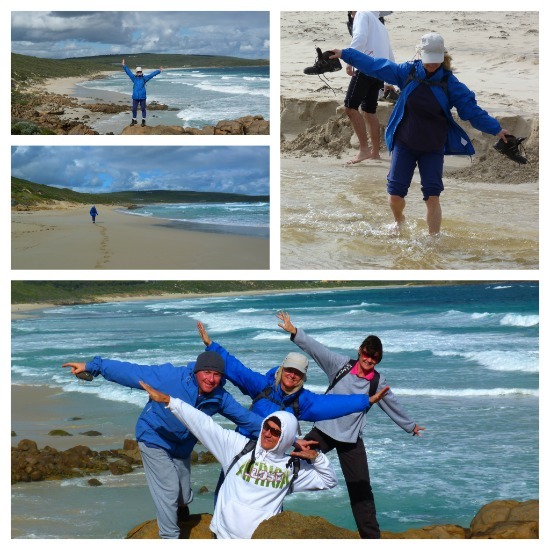 Here we’re doing what we love best, having fun with friends and walking another section of the Cape to Cape trail. This year we’ve been to Margaret River on many occasions. 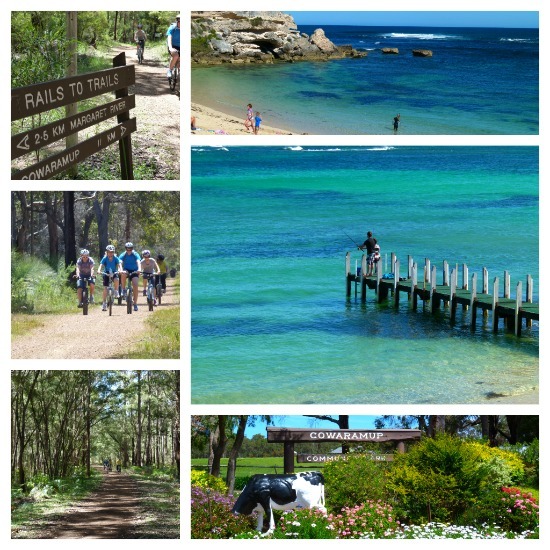 Sometimes to walk, sometimes to bike the woodland and coastal trails, sometimes to kayak on the Margaret River itself. There’s always something to do, whatever the season, and living only 1.5 hours away means we can pop down for the day to explore. There’s so much to do around Margaret River, and the scenery changes dramaticaly during each season. 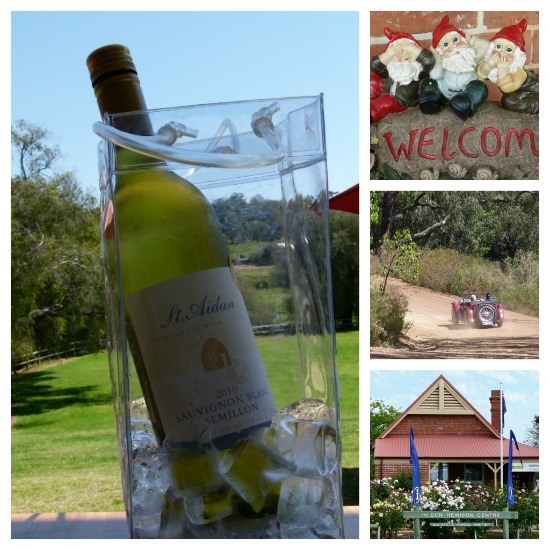 Wine Farms, wine tasting and lunches are a feature of the Margaret River region in the South West of the State. 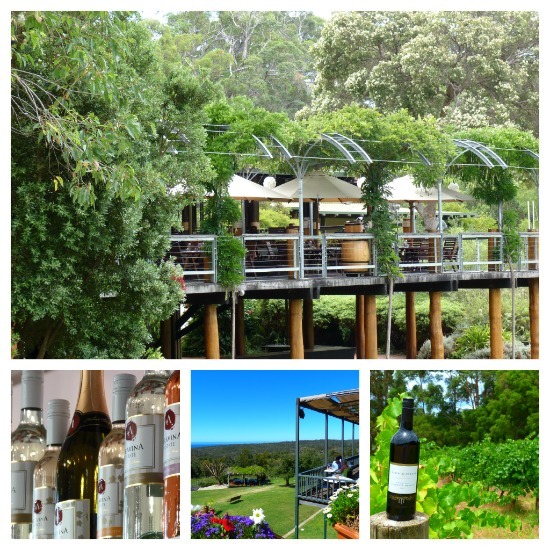 From Top: Leeuwin Estate’s sheltered restaurant. Middle bottom: Wise Wines’ restaurant with a view of Eagle Bay in the distance. 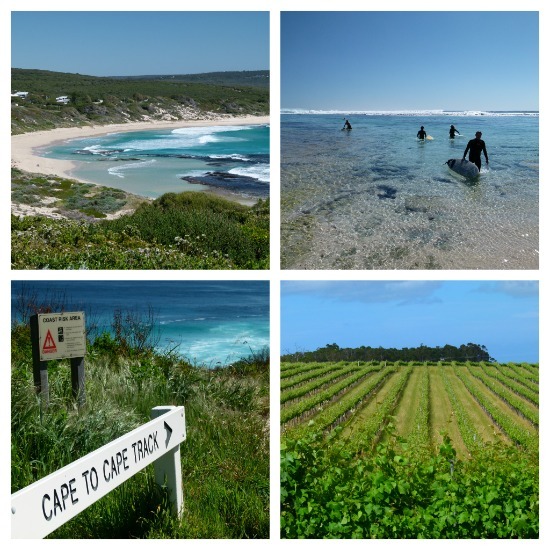 Many people think that the Margaret River region is all about wine, but it’s not, which is why it’s such a draw card for people to keep returning. There are all sorts of micro businesses in the region ranging from the natural olive oil factory to the chocolate factory to the cheese factory, and the list goes on. Kangaroos are a feature along Walcliffe Road, there’s a great cafe at Gnarabup beach, and of course the surf is amazing. Our 25th Wedding anniversary was spent courtesy of the wonderful Cape Lodge and gorgeous Windmills Break and we were so lucky. It’s certainly an anniversary that we shall never forget. 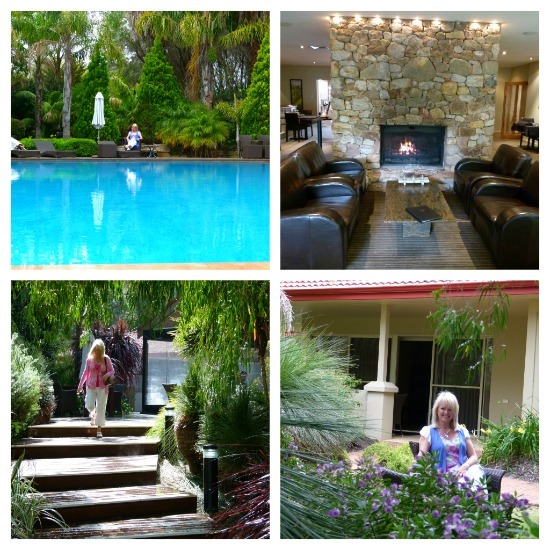 Both hotels offer a five star experience and both have restaurants serving up fine new Australian cusine. Tony Howell at Cape Lodge has been featured in Master Chef and his menus are amazing, Windmills on the other hand serves up an interesting and delicious array of tapas. Left: Cape Lodge, The Forest Suites. 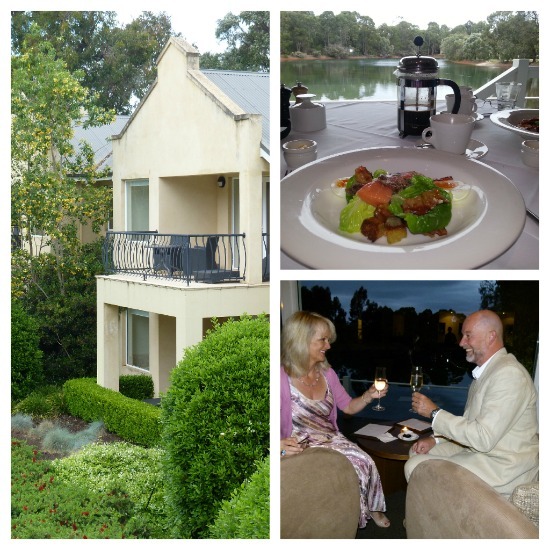 Right: Breakfast over the lake at Cape Lodge – one of my all time favourite hotels near Margaret River. Windmills Break below is another of our favourite places to stay, just out of Yallingup, near the beach, and near to the shops in Dunsborough. For a five star experience it’s hard to beat. When the weather turned wet, so we would head to the Ferguson Valley for the hills and dales then turn a wonderful shade of green. The region is fast becoming known as an excellent wine producer and small estates offer warm and friendly cellar door experiences. There are a couple of micro breweries in the region too, as well as the awe inspiring Wellington Dam and Gnomesville, a quirky place of thousands and thousands of gnomes deposited by people from all over the world. The visitors’ centre at Dardanup in the Ferguson Valley, above, is swathed in roses during December. 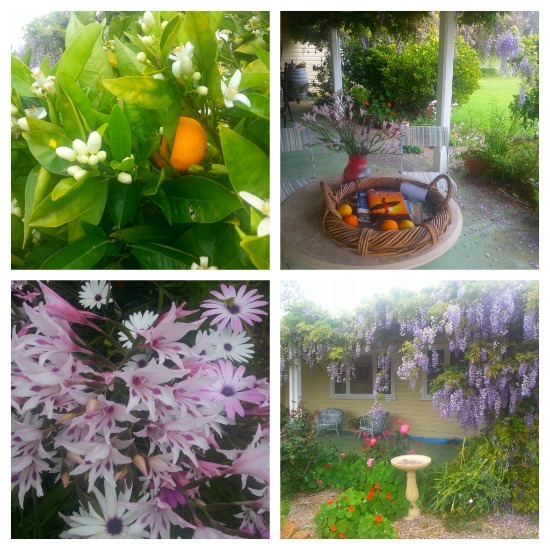 Spring scenes at The Lyndendale Gallery in The Ferguson Valley, Western Australia. I’ve enjoyed giving writing workshops at the Lyndendale this year. In May we spent a few days in Broome, prior to our trip into the Kimberley. Broome is a small pearling town with an interesting history, famous for its long stretch of beach at Cable Bay. You may have seen pictures of camels at sunset – well we didn’t do that! But maybe you might! Bridgetown is the sort of place that captures your imagination. It’s main street is lined with historic buildings and the rolling hills surrounding the town turn from golden to green during the wintertime. 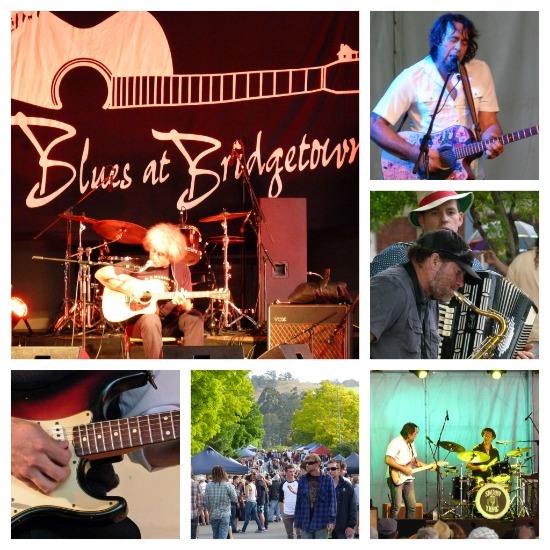 Each November there is a world class blues festival held at various venues around the town, and it’s a weekend where you can certainly chase your own blues away as you sip a cold beer and listen to some great bands. Oh gosh, what can I say about Esperance? It induces superlatives, not because the town is amazing, but because its National Parks and Beaches certainly are. OK the town is interesting, and the town beaches are wonderful (there I go again), and although it’s a long way from anywhere (about 8 hours driving from Perth) it’s a region that you just have to visit as it must rate as one of the wonders of the world. Whitest and squeakiest sand in Australia is just one of the many accolades. Esperance is an assault on the senses. We stayed at Island View Villas on the Esplanade. Well, that’s it. 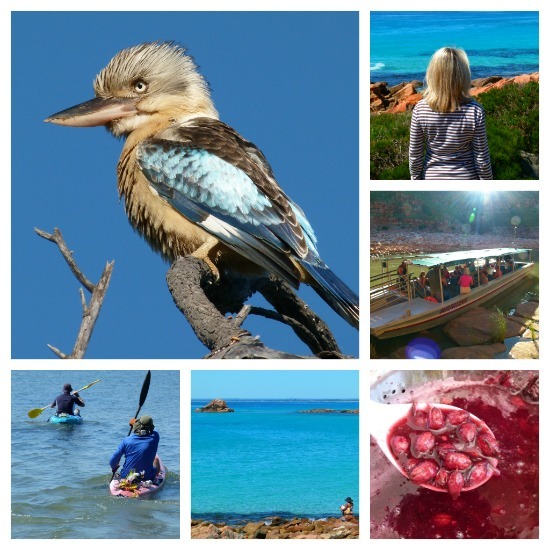 I hope you’ve enjoyed this trip down the 2012 memory lane and that many of you will join me in 2013 for some more entertainment and inspiration from Western Australia. Thank you to everyone who’s susbcribed to Zigazag’s newsletters, to those of you who’ve commented on my posts, and for those who’ve joined Zigazag on Facebook or Twitter. It’s been lovely to make so many new friends and I really look forward to connecting with you all again next year. I hope you’ve all got good memories of 2012 and here’s to a brilliant start in 2013. I’d love to know what your favourite memory of 2012 has been? Where was it, and what were you doing? Please share in the comments section. Thanks Simone! And I look forward to hopefully catching up in 2013 somehow, somewhere 🙂 Thank you so much for following ZigaZag. A Very Merry Christmas to you and Karl & Cody. 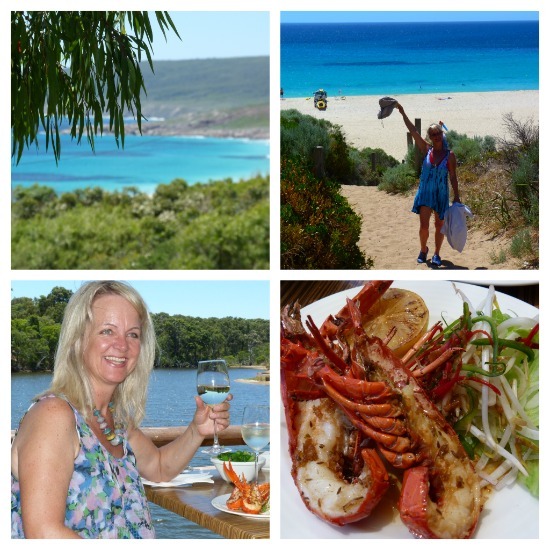 What a fantastic year it has been for you Jo – lots of fabulous memories and images from your travels around Western Australia. And what a great way to showcase your year! Yes, we are so lucky to live in such a beautiful and diverse part of world. I look foward to catching up with you after Christmas, and linking up with your continuing journey through ZigaZag in 2013. All the best to you and yours for the festive season and in 2013. Thank you Jill! And thanks for your continued support. Yes, it was great fun recording the year in pics and it makes you appreciate how much you’ve done. Hope to catch up soon, and all good wishes to you and your family for a wonderful Christmas and New Year too. What a wonderful post. 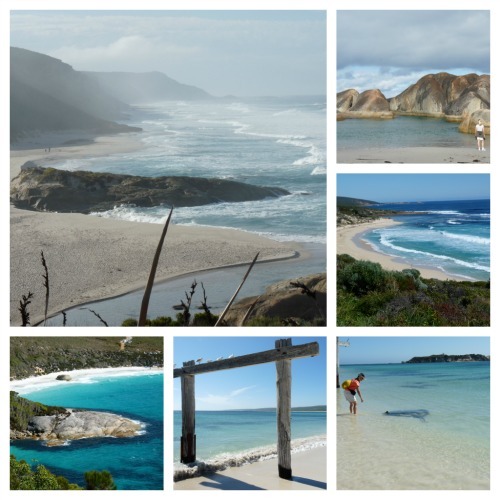 Your photos are stunning and really showcase Western Australia as a beautiful and diverse place to visit. It’s a few years since I crossed the country to visit WA but your photos bring back some great memories. I especially love your photo of the Kingfisher in the Bungle Bungles. 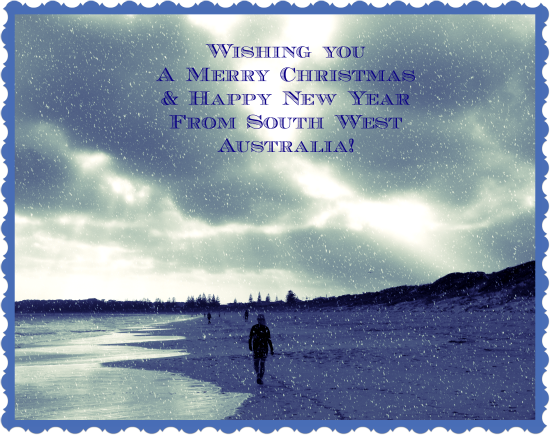 Keep up the great work and I look forward to following your travels via your blog in 2013. What a post… and what a year! Western Australia is amazing. Thank you for sharing the highlights of 2012. We were lucky to have your and Dave’s company on our 12 day Broome to Broome trip through the Kimberley with the Adventure Wild team. It really was one of our best ever holidays; the natural beauty of the Kimberley is fantastic, and it was great to explore it with Greg and Choccy with their local knowledge and tips. Thanks also for your lovely words about Donnelly River Village, our special place in the forest. We love it, and hope to share it with lots of new visitors. how fabulous Jo – if only we could spend a year there too! Thanks for sharing it with us all too. Thanks Kim and it would be lovely if you could be here too 🙂 Glad you enjoyed reading though, and perhaps it might help inspire a visit? Thanks to you too Lee for some great 2012 memories, and may there be many more in 2013. Merry Wishes to you at Christmas too. It has been a fabulous year in WA. Thanks Jenny! Yes, likewise, look forward to catching up here, there, or in Melbourne! Merry Christmas to you too. Thanks for the lovely review and Merry Christmas to you too. Thanks and the same to you Sallie.